The first musical remixes are often thought of to have come from Jamaican Reggae in the 1960’s. On the B side of these 45 rpm records, another artist created an alternate “version” of the song on side A. This became standard practice in most pop/dance music by 1980, and is now a fundamental part of how we experience popular music. Perhaps the most important component to remix is the spirit of artistic permissiveness. One artist surrenders their work to another, so they might re-invent and re-imagine it into some new, unforeseen configuration. This exhibition will explore the idea of remix in visual art. Although artists often collaborate with other artists, or appropriate the work of someone else, the permissive surrendering of their work to another for creative re-invention seems unusual, and kind of fun. For this project, I have invited seven artists who I deeply admire: Lyla Rye, Anda Kubis, John Kissick, Jessica Thompson, James Olley, Chief Ladybird and Paulette Phillips to choose an artist to partner with. They’ve chosen Christina La Sala, Jennie Suddick, Stu Oxley, Duncan Macdonald, Jennifer Wigmore, Mike Pszczonak, Aura and Jean-Paul Kelly. These artists will trade works with each other, and aesthetically reconfigure them. The title for this proposed show is taken from a song by A Tribe Called Quest from 1991. It has a playfully nostalgic character to it’s vernacular, suggesting the permissive surrendering involved in this project. It points to an expression from the 80’s and 90’s (the golden era of Hip Hop sampling, before lawyers figured out new copyright laws) To “kick it” implied starting the song (and the party), dropping the beat, but also ‘kicking it’, implied a sort of hanging out/chilled out camaraderie. All of these implications are touched on with this project. Pete Smith is an artist and writer who lives in Bowmanville. His recent work explores the collective anxiety around environmental change. Smith has exhibited his work extensively since completing his BFA from York University in 1998 and his MFA from the University of Guelph in 2007. Recent solo exhibitions include: Open Letter at Bowmanville Town Hall (2017), Southern Pastoral at No Foundation, Toronto (2017), Postscript at the Robert McLaughlin Gallery in Oshawa (2015), New Frontier at Kelowna Art Gallery (2015), Initial Public Offering at Station Gallery in Whitby (2013), New Drawings at Colorida Exposicoes in Lisbon, Portugal (2012) and Proverbs for Paranoids at Elissa Cristall Gallery, Vancouver (2010). His work is included in numerous private and public collections in Canada and abroad including TD Bank, The Colart Collection, Imago Mundi (Italy) and The Art Gallery or Guelph. His writings on art have frequently appeared in Canadian Art and Border Crossings magazines. Smith has held teaching positions at Western University, the University of Guelph, and the University of Toronto. He is currently a lecturer in the Department of Drawing and Painting at OCAD University, and in the School of Media, Art and Design at Durham College in Oshawa. Lyla Rye is a Toronto based installation artist who began her studies in architecture. She studied at the University of Waterloo, York University (BFA 1989), and the San Francisco Art Institute (MFA 1994). She works in installation, video and photography to explore our experience of architectural space. Her work has been exhibited across Canada and internationally including exhibitions in San Francisco, New York, Adelaide (Australia), Paris and Berlin. She has work in the public collections of the Art Gallery of Nova Scotia, York University, Cadillac Fairview Corporation, The Tom Thomson Art Gallery, Harbourfront Centre and the Robert McLaughlin Gallery. She has received numerous grants from the Canada Council for the Arts, Ontario Arts Council and Toronto Arts Council. Lyla Rye is partial load faculty member at Sheridan College in the Art and Art History joint program between Sheridan College and the University of Toronto Mississauga. Anda Kubis is a recognized Canadian abstract painter working in expanded digital, material, and traditional oil painting processes. Due to the prominence of colour in her artwork, Kubis conciously considers how the engagement with aesthetics and creativity positively impacts human flourishing and quality of life. With degrees from Nova Scotia College of Art and Design and York University, she is invested in crossing her artistic practice with design and architecture, material exploration, and her significant career in teaching. Anda Kubis is the Associate Dean of Outreach and Innovation in the Faculty of Art at OCAD University. Kubis is represented in Canada by Bau-Xi Gallery in Toronto, Newzones Gallery of Contemporary Art in Calgary, Elissa Cristall Gallery in Vancouver, in Sweden by Galleri Tapper-Popermajer, and online at Artsy.net. Numerous public and private collections have acquired her work, including RBC, TD Bank, BMO, Cenovus Energy, Aimia, The Westaim Corporation, and the Canadian Department of Foreign Affairs, Trade and Development. Trained as a painter and writer, John Kissick has held numerous academic posts, including Chair of Critical Studies at Penn State University’s School of Visual Arts, Dean of the Faculty of Art at the Ontario College of Art & Design from 2000 to 2003, and for the last nine years, Director of the School of Fine Art and Music at the University of Guelph. Kissick’s exhibition record includes numerous solo exhibitions in Canada, the USA and Germany, and his work has been included in a number of important survey exhibitions and public collections. A mid-career survey entitled John Kissick: A Nervous Decade, curated by Crystal Mowry, toured Canada from 2010 to 2012 and was accompanied by a major publication. Kissick is also the author of Art: Context and Criticism (1992,) was editor of the Penn State Journal of Contemporary Criticism from 1990 to 1995 and has written numerous catalogue essays and articles for periodicals. 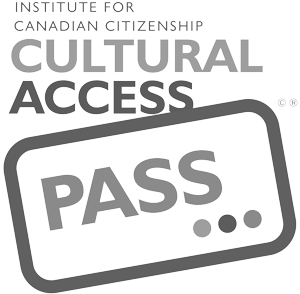 Two recent essays: “Elephants in the Room” for Canadian Art Magazine and “Disco and the Death Switch: Tales from Contemporary Abstraction” for Border Crossings were nominated for National Magazine Awards in 2009 and 2010. John Kissick was elected to the Royal Canadian Academy for the Arts in 2005. Born and raised in Oshawa, Ontario, Jessica Thompson is an Assistant Professor in Hybrid Practice at the University of Waterloo in both the Department of Fine Art and the Stratford Campus. Her practice investigates spatial and social conditions within urban environments through interactive art-works situated at the intersection of sound, performance and mobile technologies. She holds a BFA in Visual Art from York University and MFA in Media Study from SUNY at Buffalo. Before coming to Waterloo, Thompson was Part-time Faculty in the Department of Visual Art at Brock University and an Adjunct Instructor in the Department of Media Study at SUNY at Buffalo. Her work has shown in exhibitions, festivals and symposia such as ISEA (San Jose, Dubai, Vancouver), the Conflux Festival (New York), Thinking Metropolis (Copenhagen), (in)visible Cities (Winnipeg), Beyond/In Western New York (Buffalo), the Deep Wireless Festival (Toronto), NIME (Oslo), Audible Edifices (Hong Kong), the Trans-X Transmission Art Symposium (Toronto), Locus Sonus (Aix-en-Provence), and the The Persistence of Peripateticism: Artists’ Walks (New York). Her projects have appeared in publications such as Canadian Art, c Magazine, Acoustic Territories (Continuum Books) the Leonardo Music Journal, and in art, design and technology blogs such as engadget, Cool Hunting, swissmiss, we-make-money-not-art, Gear Live and Make Magazine. James Olley received his MFA from the University of Waterloo in 2008 after completing his BFA at NSCAD University in Halifax, Nova Scotia in 2004. Since graduating Olley has had a number of solo shows locally and internationally; Angell Gallery (Toronto), Galerie Trois Points (Montreal), Peter Robertson Gallery (Edmonton), Kasia Kay Art Projects (Chicago), Incident Report (New York) and Dundee Contemporary Arts (Scotland), Galerie Weissraum, (Kyoto, Japan); and Groenhazengracht 1, (Leiden, Netherlands). Olley’s work belongs to private collections such as Colart Collection (Montreal) and Cenovus Energy (Edmonton). Olley has been awarded Emerging & Assistance Artist Grants (Toronto Arts Council & Ontario Arts Council), in addition, received full scholarship to the Vermont Studio Center Residency (2009). Olley’s work has been profiled at contemporary art fairs, including Pulse New York, Pulse Miami, Papier 13 and Next Chicago. He is a lecturer in the department of Drawing and Painting at OCAD University. Stu Oxley is an outstanding Canadian artist with a 30 year history of exhibitions in national and international, public and private galleries. Primarily working as a printmaker and painter, his practice is defined by a distinctive form of poetic abstraction involving evocative colour and exquisitely responsive mark making. As a Master Printer, Oxley has also made a very significant contribution editioning prints for numerous distinguished contemporary artists at Riverside Studio, the printshop he runs in Elora, Ontario. Oxley earned a Master of Fine Arts degree from the University of Waterloo and has for the last fifteen years been an extremely supportive and effective instructor of art, teaching at notable post secondary art programs such as Georgian College and the University of Guelph. Stu Oxley has realized twenty-six solo exhibitions of his artwork, including regular exhibitions at prominent art galleries such as Mira Godard Gallery in Toronto, Jennifer Kostuik Gallery in Vancouver, Jill George Gallery in London, England, and Paul Kuhn Gallery in Calgary. Included in numerous private and public art collections such as the Art Gallery of Hamilton, Museum London, the Maclaren Art Centre, the Nickle Museum of Art and the Museum of Contemporary Canadian Art, Stu Oxley has also been awarded recognition with a Purchase Award by the Ernst and Young’Great Canadian Print Prize’. A significant high point in Stu Oxley’s exhibition history is s a catalogued, international solo exhibition at the Naughton Gallery at Queens University in Belfast, Ireland. Monique Bedard (Aura) is a Haudenosaunee (Oneida Nation of the Thames) woman from a small town in Southern Ontario. She has been deeply and passionately involved in visual arts for 11 years. In 2006, she began a formal study of visual arts at Fanshawe College in London, ON. After three years of studies in London, she moved to Lethbridge, AB to complete an undergraduate degree at the University of Lethbridge. She received her Bachelor of Fine Arts (Studio Art) degree in 2010 and returned to Ontario where she began instructing group art lessons with children, adolescents and adults. Monique currently resides in Tkaronto, where she is working as an artist, art facilitator and muralist. Mike Pszczonak is becoming increasingly intuitive with a strong concern for process, play, and a material ontology. At the moment, a key motivation in his work is the search for relationships between observation and touch, pictorial and sculptural space, design and architecture, and the way objects form perception and vice versa. He received his Bachelor of Arts within the studio art program at the University of Guelph and his MFA at the University of Western Ontario. Mike Pszczonak lives in London, Ontario. San Francisco artist Christina La Sala is a scavenger, a collector, a researcher and a fabricator. Her installation based work is driven by a love of history and craft. She received her BFA from the Tyler School of Art and her MFA from the San Francisco Art Institute. La Sala has exhibited her work extensively in the United States and internationally and has been an artist in residence at the Headlands Center for the Arts in Sausalito, California, the Hermit Foundation in the Czech Republic, Elsewhere in Berlin, Germany and most recently at the Center for Art and Urbanistics in Berlin, Germany. Jennifer Wigmore completed her MFA at OCAD University in the Interdisciplinary Masters of Art and Design program. Jennifer’s emergent practice engages reflexive embodiment through painting, research and teaching. Her current paintings are created in an experiential maximalist approach, rooted in painting, that enables a reflexive topology with material. A trans-disciplinary artist Jennifer has curated multiple exhibitions and regularly shows her work. She is also a founding member of Blunt Collective which exhibits her work internationally. Nancy King is a First Nations (Potawatomi and Chippewa) artist from Rama First Nation. Her Anishinaabe name is Ogimaakwebnes, which means Chief Lady Bird. She has completed her BFA in Drawing and Painting with a minor in Indigenous Visual Culture at OCAD University and has been exhibiting her work since she was 14 years old. Through her art practice, she strives to look to the past to help her navigate her Anishinaabe identity whilst living in an urban space as well as advocate for Indigenous representation as an integral aspect of Canada’s national identity. She addresses the complexity of identity through the use of contemporary painting techniques; woodlands style imagery, photography, digital manipulation and traditional Indigenous craft materials and often works with at-risk youth to ensure knowledge and skill sharing/development. Duncan MacDonald is a contemporary artist from Canada. His artworks take form in diverse modes such as audio art, performance, video, music, installation and drawing – often exploring the corporeal sensorium and its commodification. Duncan’s works have been exhibited, performed and recorded throughout Canada, the US, Europe and South America. He has presented work at: Friche La Belle de Mai (Marseille), Museu D’Arte Joinville (Brazil), Cram International, Rodman Hall Art Centre, p|m Gallery, A Mano Libera Contemporary Art Gallery, Nuit Blanche (Paris) at Bibliotheque Forney, Nuit Blanche (Paris) at Musee Cluny, Oakville Galleries, The Grimsby Public Art Gallery, WKP Kennedy Art Gallery and the Andrew and Laura McCain Gallery, Mercer Union Centre for Contemporary Art, Centro Dragao do Mar de Arte é Cultura (Fortaleza), Jewel Box, Pekao Gallery, the Anna Leonowens Gallery, Gale Gates Gallery, the Tranz Tech Media Festival, amongst other venues. He has received numerous awards and grants including the Established Artist of the Year Award from the City of St. Catharines, an ARC Fedev Pre-Commercialization grant, five grants from the Humanities Research Institute of Brock University, the Paris Studio residency supported by the Canada Council for the Arts (twice), a research and production grant from the Canada Council for the Arts, several grants from the Ontario Arts Council, a co-production grant from the Centre Nationale de la Cinematographie (Paris, France), a nomination for a Sobey Art Award, and a residency at the Royal College of Art in London, England. Jennie Suddick is a multi-disciplinary artist based in Toronto, Canada who has exhibited in Canada, the U.S., Europe and Asia. Influenced by the ethos of her printmaking background, her work explores the of seeking a personal bond to places, images or objects that are shared, repeated, and accessible, despite often being artificially manufactured or reproduced.Her role as an educator has also branched out into both her personal and collaborative practices, and the line between all these two are constantly blurring, with community engagement and interactivity being prevalent considerations. This includes the collaboration Crazy Dames with urban planner Sara Udow, creating a dialogue that embraces the role of the artist in interdisciplinary projects. Suddick earned her Masters of Fine Arts from York University and holds both a Bachelor of Fine Arts and Advanced Visual Studies Certificate from OCAD University. Her solo projects have recently been featured at The Varley Art Gallery, Harbourfront Centre and as part of Land|Slide: Possible Futures at The Markham Museum and The Shenzhen &Hong Kong Bi-city Biennale of Urbanism/Architecture. She is currently an Assistant Professor at OCAD University where she received the 2017 Non-Tenured Teaching Award. Jean-Paul Kelly’s work explores the relationship between materiality and perception. The videos, drawings, and photographs that he makes pose questions about the limits of representation by examining complex associations between found photographs, videos, and sounds from documentaries, photojournalism, and online media streams. By working through these documents, Kelly seeks to illuminate the gap between physical matter and the subjective experience of it in the world. His work has been exhibited at the Wexner Center for the Arts (Columbus), The Power Plant (Toronto), Vox Populi (Philadelphia), Scrap Metal Gallery (Toronto), Mercer Union (Toronto), Gallery TPW (Toronto) and Tokyo Wonder Site. Recent screenings include New York Film Festival: Projections, Toronto International Film Festival: Wavelengths, SBC Gallery (Montreal), Nightingale Cinema (Chicago), New York Film Festival: Views from the Avant-Garde, Off & Free International Expanded Cinema and Art Festival at the Seoul Museum of Art, International Film Festival Rotterdam, and Pleasure Dome (Toronto). Jean-Paul was a guest artist at the 2013 Robert Flaherty Film Seminar. He received the 2014 Kazuko Trust Award from the Kazuko Trust and the Film Society of Lincoln Center. From 2009 to 2012, Kelly was Programming Director and Curator of Trinity Square Video (Toronto). Jean-Paul holds a Master of Visual Studies from the University of Toronto (2005) and lives and works in Toronto.